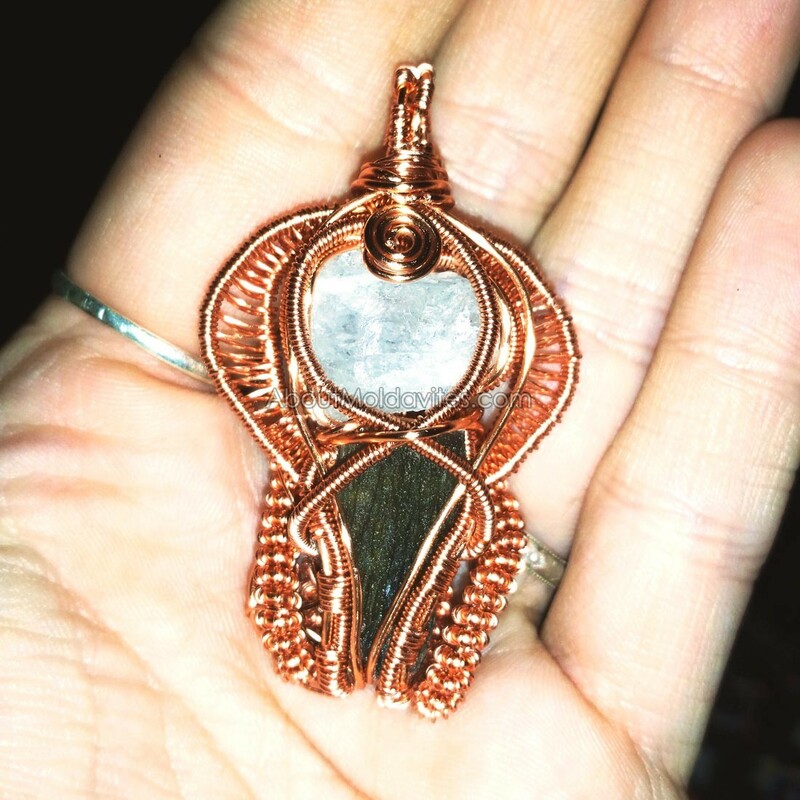 Checked this nice wrap – moldavite with phenacite. Why this combination?Avani Joy from Connecticut made this pretty pendant from a raw moldavite, phenacite and wires with different thickness. 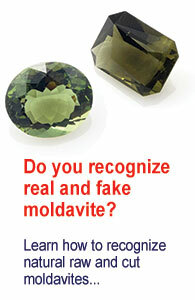 Why the combination of a moldavite and a phenacite? Phenacite is a rare mineral/gemstone. It increases the energy of whatever it is paired with and is considered the highest vibrational stone on the planet! I just figured with all of moldavite’s great properties, phenacite would be a great pairing. how much this phinacite moldavite pendant? Unfortunately the pendant isn’t for sale.